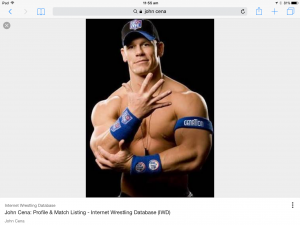 This term in Science with Mrs Cannon we are being ‘Change Detectives’! 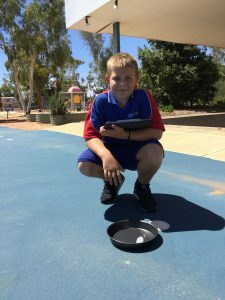 We are investigating, exploring and learning about how substances (particularly items from our everyday lives) change under different conditions. 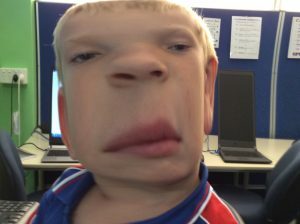 Below are photos from some of our investigations on Tuesday afternoons. Jake attempting to melt his ice cube the fastest by putting it in his mouth and using his body heat! Alex placed his ice cube in a dark, metal pan out in full sun. 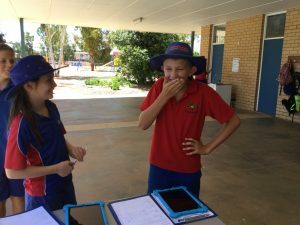 Ariel & Jake recording their winning times…Ariel 1st for melting it under water at the drink fountain and Jake 2nd for placing it in his mouth. 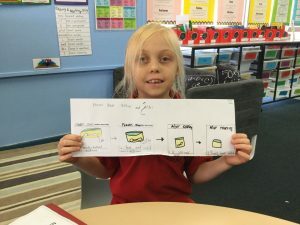 Sarai’s wonderful ‘Before & After’ storyboard from the Year 3’s investigation into heating, cooling & freezing items. 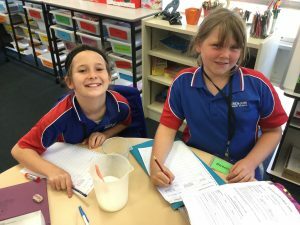 Tahlia & Georgia investigating dissolving a solid into a liquid. 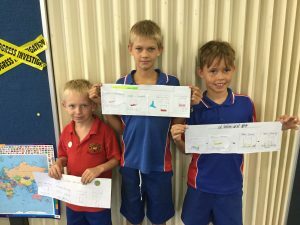 Lachlan, Tyler & Koby showing off their neatly presented storyboards. 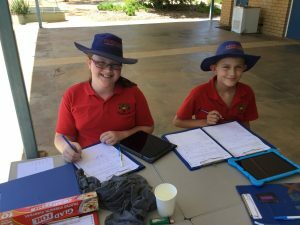 Aimee, Keanu & Jake recording their observations during the investigation. 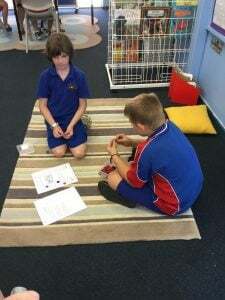 This term we have started doing Literacy Centres during our morning literacy block. 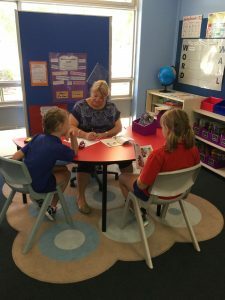 Students do Guided Reading in groups with a teacher and then rotate around different centres such as Independent Reading, Partner Reading, Magazine Centre, Listening Centre, Handwriting Centre, Book Reviews and Poetry Roll & Answer. Below are some photos of the students practicing new strategies and responding to their reading. 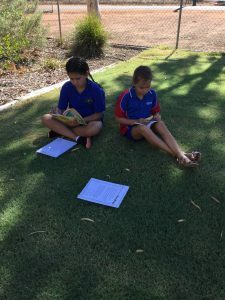 Lehyia and Chloe enjoying Independent Reading in the fresh air and sunshine. 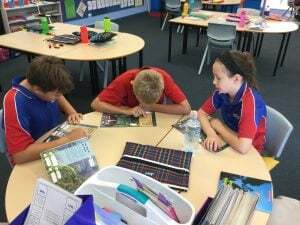 Keanu, Jake & Tahlia during a Guided Reading session. 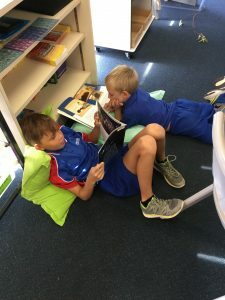 Koby & Lachlan reading the same text and sharing their responses during Partner Reading. 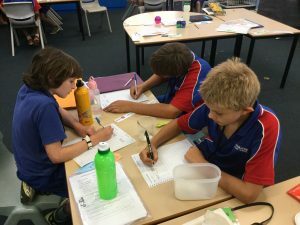 Justice & Georgia during a Guided Reading session with Mrs Sutherland. 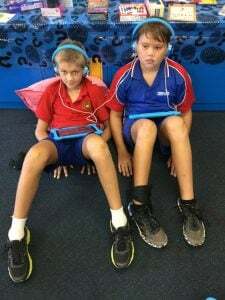 Jake & Keanu listening to the same ebook at the Listening Centre. Aimee & Alex sharing responses to a poem at the Poetry Roll & Answer centre. 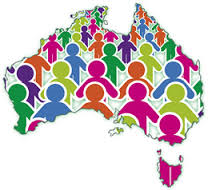 Today is Harmony Day at Perenjori Primary School. 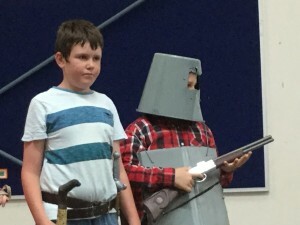 The classes will come together to share their learning and taste treats from other cultures.